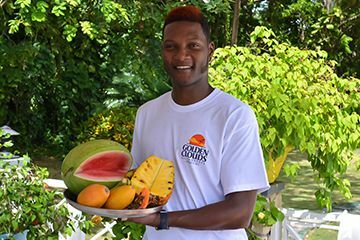 The staff at Golden Clouds are the best in Jamaica, and many have been with the Villa for over 20 years. Our top-notch staff specialize in pampering you on your holiday and providing you with the best possible service with a warm and friendly smile. Golden Clouds is very much a family business, and our staff are an integral part of this family. We have a team-based approach to managing and maintaining the villa, and we share many of the tasks on the property. For example, our beautiful Zen garden is cared for by 5 different members of our staff – each with their own piece of paradise to demonstrate their horticultural skills. Our staff share in our vision of “eco luxury” where we provide the utmost in service and attention to detail, while also working to minimize waste and pollution. The villa is equipped with solar panels to help reduce our carbon footprint, and our staff only use “green” products for the care and maintenance of the villa. 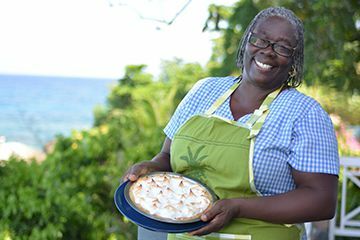 Blossom is the Villa's legendary chef. She has been with us for many years, and the comments in our Guests book speak volumes pages/about what a terrific chef and what a wonderful person Blossom is. 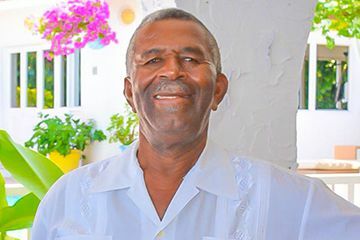 Jackson is the Villa’s Houseman who ensures that our guests have a wonderful stay with us. 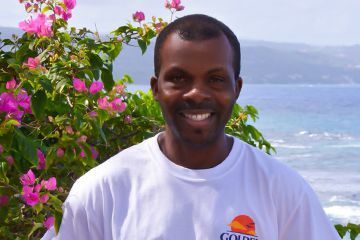 He has been part of the Golden Clouds family for years and oversees security on the property, among many other things. Kenneth serves breakfast and lunch and is also available to help with recreational equipment. 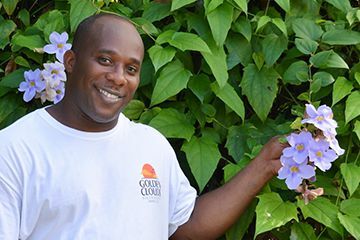 Kenneth is our gardening expert and is responsible for many of the beautiful flowers that you see on the property. David is the newest member of our staff and serves the evening meals. He tends bar during lunch and cocktail hour, and is available to serve drinks throughout the day. Sean is one of our best groundskeepers who helps keep the beach, gardens and lawn in top shape. Clover is a valued member of the Golden Clouds family and has been with us for many years. She brings a meticulous level of care and attention to every room she cleans. 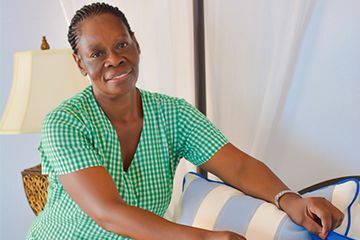 Lorna is another one of our hard-working housekeeping staff who works tirelessly to ensure that your rooms are kept in top condition during your stay with us. 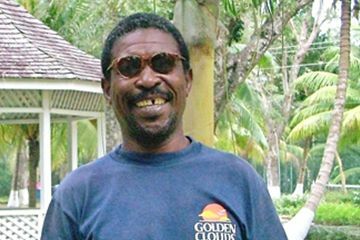 Stanley is our maintenance technician and carpenter. He looks after most of the repairs on the property and has been with us for over 20 years. While Golden Clouds is a very safe, gated villa, and we have never had any crime on the property in our 100 year history, we still take every precaution to ensure your safety and security during your stay with us. Our security staff includes on-site personnel as well as excellent local police, located just down the street. Oracabessa is a very safe community and crime is virtually non-existent in our neighborhood. The villa is equipped with two first aid kits for basic medical attention. 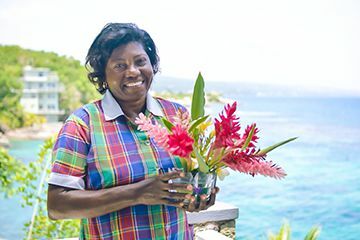 There are three physicians located in Oracabessa, including our next-door neighbor, Dr. McGill. All our physicians make housecalls. In the event of a serious emergency requiring airlift, Boscobel airport is located a 5-minute drive from the Villa.